Many Seniors today are using a Federal Way reverse mortgage to enhance their retirement. The Home Equity Conversion Mortgage or (HECM) is the government insured mortgage provided by private lenders and insured by the Federal Housing Administration. The best way to find out if a Federal Way reverse mortgage is right for you is to begin with education. 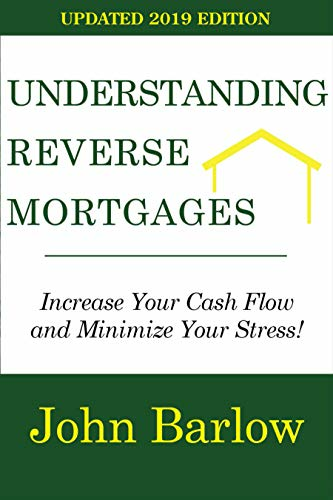 Our President, John Barlow, has written an informative book called Understanding Reverse Mortgages. He discusses all of the ins and outs of this product and shows three examples of clients using a Federal Way reverse mortgage who have different situations. You can find the book here on Amazon, www.amazon.com/author/jbarlow. The next phase is to give us a call to see what your loan proceeds will be and which benefits apply to you. The loan amount will be determined by the age of the youngest person on title or a non-borrowing spouse who is under 62 years of age. Sound Financial Mortgage LLC believes in supplying our customers with a solid education, outstanding service, and a wide variety of product options to meet your needs. We believe in honesty and integrity and we will always work to maintain your trust. If you are interested in learning more about Federal Way reverse mortgages, we would be honored if you would consider Sound Financial Mortgage LLC as one of your Federal Way reverse mortgage brokers. Native Indians who lived next to the Green and White River used the region for a seasonal campground although there were no Indian settlements in what is currently known as Federal Way. In 1792, Captain George Vancouver explored the region and was greeted on the shore by many natives. As early as 1824, explorers from the Hudson's Bay Company arrived in the region. They established a small trading post next to a north/south running Indian trail in 1840. A survey was conducted for a road that was to be constructed between Fort Bellingham and Fort Steilacoom in the early 1850s. Many areas used existing trails, including the one in what is currently known as Federal Way. The road was called Military Road because it was built for use by the military. The road was completed between Seattle and Pierce County by 1860. At that time, many of the settlers who lived next to south Puget Sound selected land claims that were close to Tacoma or Seattle. The first homesteader didn't move into the general Federal Way region until 1871. The first school was built in 1880 close to Star Lake. At Stone's Landing, the first store opened in 1904. In this rural and remote location, many of the families owned small farms. Although for years the region remained underdeveloped, some sawmills were constructed on the small lakes. Some 13 people who had crowded onto a dock to await a steamship were killed in 1906 when the dock collapsed. It was suggested that the community be renamed to Redondo because of the stigma from the disaster. Many people wanted the region to become a destination for recreation, much the same as Redondo Beach in California. A skating rink, dance hall, and bowling alley were all built in about ten years. Discussions started about a new highway that would run along the entire western coast of the US when the automobile became the best means of transportation. In 1915, construction of the new highway started. Federal funding was provided to pave the road between Tacoma and Seattle in 1925. In 1928, the section between Tacoma and Seattle known as Highway 99 officially opened. There were eight small school districts in the region: Star Lake, Lake Geneva, Harding, Lakota, Adelaide, Buenna, Redondo, and Woodmont. It was determined they should all be consolidated into one in 1929. The first elementary school built in this new district was named the Federal Way School and the same name was given to the school district. However, development was hindered by the Great Depression and WWII. Other than restaurants and gas stations, the region remained rural until after the war. The first major store was a farm store that opened in 1945. The Federal Way Commercial Club was organized in 1946. This was the predecessor to the Federal Way Chamber of Commerce. Some years later, Federal Way started its own newspaper: the Greater Federal Way News. By the 1950s, Highway 99 was being traveled by travelers along the coast as well as by residents of King County. There were motels to provide a temporary resting place for weary travelers. For those travelers who were hungry, there were restaurants such as Les's In and Out Hamburgers, Rocky's Drive In, and Rose's Hi Way Inn. Enthusiastic shoppers welcomed the shopping mall which opened in 1955. The mall became the home of amusement rides in addition to being the only shopping mall in the region. One mile east of Highway 99, a stretch of Interstate 5 opened in 1962. The result was that they saw additional development. In 1964, the Century City complex opened and in 1965, the Twin Lakes housing development started selling homes. Federal Way became the home of the Weyerhaeuser Corporation's corporate headquarters in 1968 as well as the home to some new schools. Attempts were made in 1871, 1981, and 1985 to incorporate Federal Way as a city. However all of these incorporation attempts were voted down overwhelmingly. Although the Federal Shopping Way was in a state of disrepair, it was purchased by the Teratron Company. In 1975, the SeaTac Mall opened, which helped the business community considerably. During the first week of the new mall's opening, almost 20,000 people visited it. Across the street, the SeaTac Village Shopping Center opened in 1976. It experienced additional development and growth occurred all through the 1980s. Business campuses and condominium complexes were being built throughout the community. Those who wanted to find recreation had to look no further than the many different parks and Wild Waves Pool located within the Enchanted Village. Another attempt was made to incorporate Federal Way in 1990. This attempt was approved by the voters. The Sportsworld Lanes Bowling Complex was where the official act of incorporation took place. Also in 1990, the Goodwill Games diving and swimming events took place in the new Weyerhaeuser Aquatics Center in Federal Way.